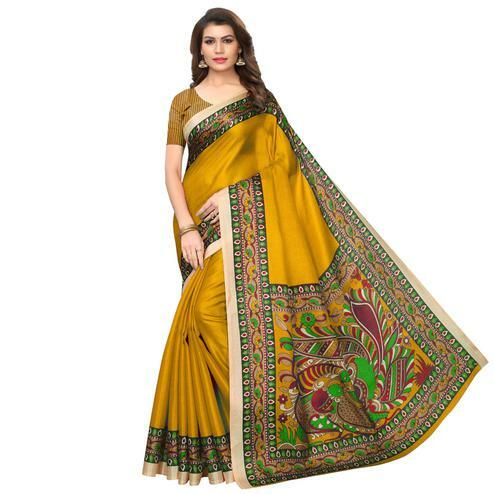 Get a decent & sober look with this off white saree designed as per the latest fashion. This saree is made out of georgette fabric & features floral design print and border having solid & checkered design. 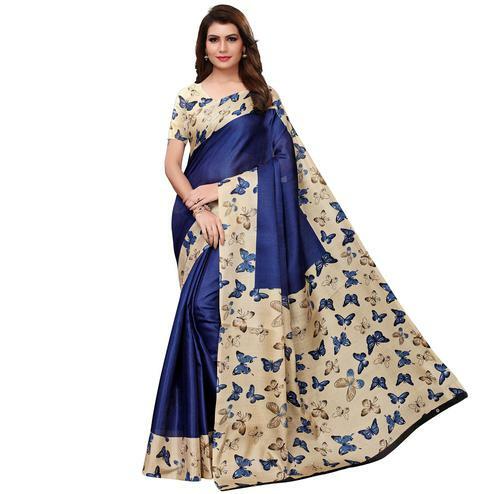 It comes along with unstitched georgette blouse, which can be stitched as per your style & requirement. This saree is lightweight and soft towards skin which is easy to carry all day long. 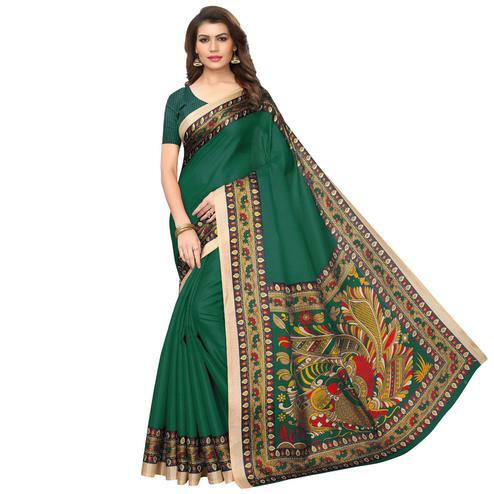 You can wear this saree for casual & office wear.